The environmental fate of the extensively used chloroacetanilide herbicides (CH) has been a cause of increasing concern in the past decade because of their carcinogenic properties. Although microbes play important roles in CH degradation, Sphingomonas wittichii DC-6 was the first reported CH-mineralizing bacterium. 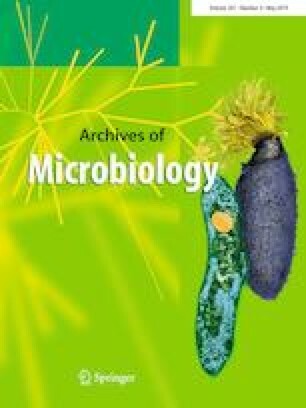 In this study, the complete genome of strain DC-6 was sequenced and comparative genomic analysis was performed using strain DC-6 and other three partial CH-degrading bacteria, Sphingobium quisquiliarum DC-2, Sphingobium baderi DE-13, and Sphingobium sp. MEA3-1. 16S rDNA phylogenetic analysis indicated that strain DC-2, MEA3-1, and DE-13 are closely related and DC-6 has relatively distant genetic relationship with the other three strains. The identified CH degradation genes responsible for the upstream and downstream pathway, including cndA, cmeH, meaXY, and meaAB, were all located in conserved DNA fragments (or genetic islands) in the vicinity of mobile element proteins. Protein BLAST in the NCBI database showed that cndA and cmeH were present in the genomes of other sequenced strains isolated from various habitats; however, the gene compositions in these host strains were completely different from those of other sphingomonads, and codon usage of genes for upstream pathway were also different from that of downstream pathway. These results showed that the upstream and downstream pathways of CH degradation in strain DC-6 have evolved by horizontal gene transfer and gene combination. In addition, the genes of the ring-cleavage pathway were not conserved and may have evolved directly from bacterial degradation of hydroxyquinol. The present study provides insights into the evolutionary strategy and microbial catabolic pathway of CH mineralization. This work was fund supported by the Fundamental Research Funds for the Central Universities (Grants no. KJQN201940), the National Natural Science Foundation of China (Grants numbers 31600080 and 31800095), the Natural Science Foundation of Jiangsu Province (Grants no. BK20180541).